New Super Mario Bros. 2 is a direct sequel to New Super Mario Bros. on the Nintendo DS, and a follow-up to the Wii title, New Super Mario Bros. Wii. Like most Mario games, the plot involves Mario trekking across the Mushroom Kingdom to save Princess Peach, who has been kidnapped by Bowser. This is tradition, and no-one really cares about the plots in 2D Mario platformers. Gameplay is very much like the other 2D Mario platformers. You run, jump, stomp on enemies, go through warp pipes, become bigger after grabbing a Super Mushroom and shooting fireballs after picking up a fire flower. The goal is to reach the end of the level. There are a number of worlds with many levels in each, with the last level in a world ending with a boss battle. If you’ve played a 2D Mario platformer before, this will instantly feel familiar. New Super Mario Bros. 2 looks, feels and plays exactly the same way as the previous games in the New Super Mario Bros. series. The game places a huge emphasis on coin collecting, much more so than previous games. So much emphasis in fact, that all the levels have much more coins than usual and are designed to allow as much coin collecting as possible. You can jump through a gold ring which will temporarily turn your surroundings into gold. So kicking Koopa Troopa shells with this effect on, for example, leaves a trail of coins for you to collect, and stomping on Goombas gives you a bunch of coins. There’s also a gold block that goes on Mario’s head that generates coins as he progresses through the level until it runs dry. The only real new power-up in this game is the Gold Flower that essentially turns Mario into the Golden Child for the rest of the level (unless he takes damage). He fires golden fireballs that turn blocks and enemies into more gold for him to collect. Every coin you collect, even if you die (but not if you quit), will add to a grand total that you can see on the main menu and level select screen. The game’s ultimate goal is for the player to collect one million coins. At least Super Mario 3D Land had the decency to explain why there were so many Super Leaves, whereas this game doesn’t even give a hint to why there’s so much gold. With so many coins around, isn’t the Mushroom Kingdom going to experience a hyperinflation crisis that will easily surpass the Hungarian pengo in the 1940s? A new mode in the game, known as Coin Rush, is one way the player can collect a plethora of coins quickly and easily. The mode picks three random levels, and the player has to guide Mario through them without time running out and collecting as many coins as possible. The records will be exchanged through the 3DS’s Streetpass feature. Having Spotpass on allows your personal coin total to be added to a worldwide grand total. The Coin Rush was fun the first few times I did it, as well as provided a challenge the rest of the game lacked, but the novelty wore off fairly quickly. In fact the novelty wore off the entire game fairly quickly. New Super Mario Bros. 1 came out six years ago, and nothing has changed besides a 3D effect and a Coin Rush mode. Oh, and I completely forgot to talk about the 3D effect. I know this is a 2D game with 2.5D graphics, but it could’ve done a lot better, especially as it’s a first-party Nintendo game. All it does is make the foreground three-dimensional and blur out the background. I left it off most of the game to save battery-time. The game is also way too easy. You still get extra lives every time you collect 100 coins, so with the extra emphasis on coin collecting, I had over 100 lives when I beat Bowser. That world was the only time the challenge ramped up, but only a little bit. There wasn’t even a point in having lives at all. There’s multiplayer too, just like the Wii title but with half the players. You can co-op with a friend for the entire game and have the coins collected added to both your totals. And it really restricts you to following one player, which is strange when players have their own screen! I missed the competitiveness of DS title’s multiplayer. I must admit I enjoyed this game’s co-op a lot more than I thought I would, because it’s for everyone. You can work together just fine, but you can also muck around just fine too (with so many lives there’s no issue there…). It depends on what kind of friends you have. When I played with my friend, we worked together at times but killed each other to get power-ups and it was actually quite fun. Having it online would be cool though, I don’t see why they don’t do it, because then I would have more reason to play the co-op. I think Mario is officially being milked now. Why now, you ask? And hasn’t Nintendo been milking their mascot since games such as Super Mario Kart, Dr. Mario and Mario’s Time Machine? Well, those games were spinoffs that had their own distinct gameplay from the main series of Mario games, and with the exception of the latter, they were good games. Mario is not just the mascot of Nintendo; he’s not just the most recognisable video game character in history; Mario is the pinnacle of Nintendo’s innovation. When you think back to the first Mario game, the arcade hit Donkey Kong in 1981 that was revolutionary as one of the earliest platformers, and featured one of the first instances of cutscenes to advance the game’s story. Then 1985 saw the release of one of the best-selling video games of all time, and one of the most revolutionary too, Super Mario Bros., saved the video game industry from certain death. It also had precise controls, huge cast of characters, and was one of the first games to have an ending, instead of just being about how high the score can go. It changed video games forever. Later on, Nintendo revolutionised three-dimensional video games with Super Mario 64 in 1996 and motion controlled action games with Super Mario Galaxy in 2010. It wasn’t just the main Super Mario series that saw the portly plumber bring innovative, intuitive and accessible gameplay. Guinness World Records crowns Super Mario Kart, the first in the Mario Kart series, as the best game ever (based on initial impact and lasting appeal, apparently). While I wouldn’t place Mario Kart as the best series ever, the series is definitely groundbreaking in its own right. Many of the Mario sports titles, such as my favourite, Mario Tennis, are just really good games. The Mario RPGs made the genre a lot more accessible as well as introducing a number of gameplay innovations that made them so much fun to play. All these games injected Mario flavour to a great extent. The New Super Mario Bros. sub-series has overstayed its welcome however. New Super Mario Bros. came out in 2006 with a clear purpose, to give the fans a new 2D Mario platformer. It was the first 2D Mario platformer since 1992’s Super Mario Land 2: 6 Golden Coins on the Game Boy. It did leave a big impression on me and the rest of the gaming community, and it deserved all its praise. Sure, it had more of the same general gameplay introduced in the original Super Mario Bros. game, but it had a bunch of new features too, such as a head-to-head battle mode. It didn’t feel like the sequel to Super Mario World, but felt like a tribute to all the 2D Mario platformers released on consoles, by incorporating many from these into the game. It even had some elements from Super Mario 64, such as wall jumping and triple jumping. There were some new power-ups too. The blue shell didn’t add much, but at least it was something we hadn’t seen before. The Mini and the Mega Mushroom were game changers, and I think it’s what that game is remembered for the most. My point is, it was a great game with excellent design that introduced 2D Mario platformers to a new audience and reminded the veteran Mario gamers why we loved these games in the first place. Then the Wii title came out, I haven’t played much of it, but I do believe it had a reason to exist. Obviously the most significant thing is for the first time you could play a 2D Mario game with 3 other people at the same time. It also brought back Yoshi and introduced a few new power-ups. Other than that, it was really similar to DS game, but it had a good reason to exist as it broke new grounds for the Mario series. The 3DS follow up on the other hand, has failed to convince me it needed to be made. 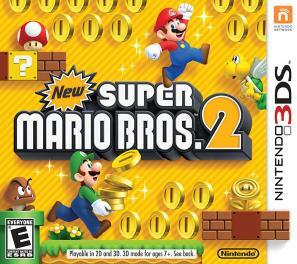 New Super Mario Bros. 2 is a great game with excellent controls and level design. The problem is that the core gameplay hasn’t evolved at all. The minor adjustments made it fun for a while, but after 8 or so hours of game-time, I just had enough, with my coin tally sitting at 60,000. C’mon Nintendo, give us something original! I’m not buying the upcoming New Super Mario Bros. U, because it looks just like the Wii title, just with more levels…In the meantime I give New Super Mario Bros. 2, a score of 3/5 because it feels more like a level pack than a fully-fledged sequel and I got tired of playing this game as I’ve played it before. If you haven’t played Mario 2D platformers to death, just for you I’ll give this game 4/5…4.5/5 if you’ve never played one ever and I’ll heartily make a recommendation. 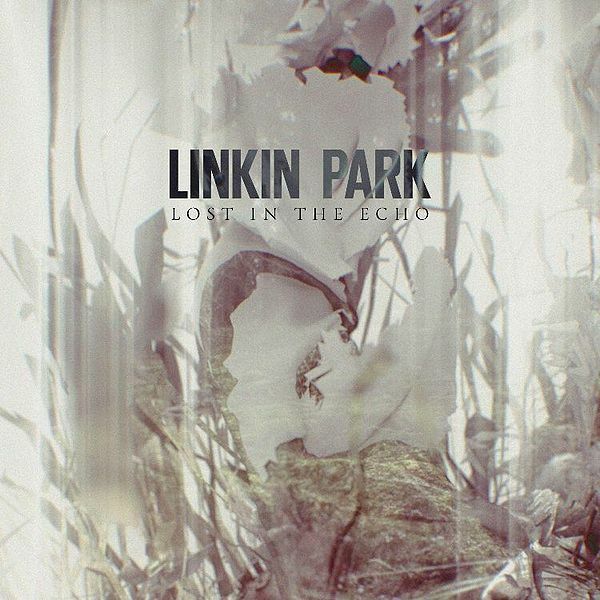 I usually don’t review music videos (yes I know I have been blogging for a couple months…), but I decided to make an exception this time because Linkin Park’s tried to do something new with “Lost in the Echo”, my favourite track off their new album, Living Things. You can read the review of that album here, https://stefanb33.wordpress.com/2012/07/17/linkin-park-living-things/, but here is an excerpt about the song. In the months since that review I’m still listening to “Lost in the Echo” often, and it may be in my top 2 favourite songs of the year. Here’s a review score for it – 5/5. What they’ve done with this video is made it interactive. I know you just got excited reading that but I’m afraid it’s not as interactive as you might think. The video takes the form of a website, and it connects with your Facebook (don’t worry it doesn’t post anything to your account without you knowing) to take photos from your account to place in the video as you watch it. I certainly recommend checking it out at www.lostintheecho.com before reading anymore about it; it’ll only take 4 minutes of your time. Done? Good, here’s my review/interpretation. It seems to be based in a post-apocalyptic world where some dude carrying a suitcase walks into a damaged abandoned building and opens the suitcase and there are heaps of photos inside. Other survivors who were standing around the area surround him as he passes the photos around. What happens next is up to your interpretation of both the song and video; and I didn’t realise how many different ways there were to interpret it until I started writing this. First of all, I only understood the actual story a little bit more once I watched the “static” (no Facebook photos) version of the video, which can be watched at http://www.youtube.com/watch?v=co4YpHTqmfQ&feature=plcp. Main thing you’ll notice in the static version is that the photos the crying characters are holding are of the family members they are staring at. 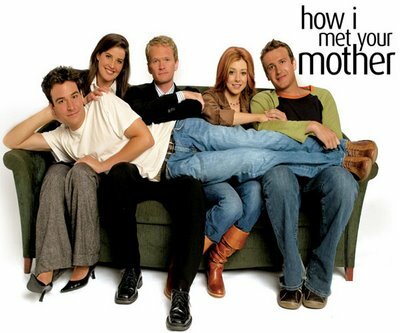 It wasn’t until I watched this version that I actually realised that the characters holding the photos are real, but the family members they are staring at are not. After looking at the photo, they start breaking down emotionally and make mental images of the lost family members. Then the pain of their long lost ones is so powerful that they crumble into oblivion, and become a photo. The interesting thing I thought was the role of the dude with the suitcase, and now seems a lot more important than just the guy who hands the photos out. As the other characters crumble after their emotional stress, it looks like the suitcase guy is going to meet the same fate, but he hangs on. The characters that had just been turned into photos get shoved in his suitcase and then he leaves the building, taking those photo memories with him. This leads me to believe that perhaps all those other characters didn’t actually exist either and that he’s related to all of them. Maybe all he has left are those photos of loved ones that he lost during the apocalypse, but as the song says he’s proven he can “let them go”. While the concept of having your own photos in the video is a very cool concept, it also creates a few problems with the story. The characters holding the photos from your Facebook mean that the other character they are crying at shouldn’t even exist, and make things confusing. Though I suppose it can be argued the static version had to exist for those who couldn’t use the website. The photos from your Facebook that come up are random and are slightly different each time you watch it, and this makes the video either emotional, hilarious or just plain weird. Some of the photos that turn up aren’t actually you. I’ve seen the characters cry to a movie poster I’ve been tagged in, my uni timetable and an ad for a music festival. Some of the photos of you and your friends that do come up don’t fit with the dark tone of the video. Sometimes the photos from the static version make an appearance too, which is really annoying. However, even Mike Shinoda (Linkin Park member) acknowledges the potential hilarity, such as watching the characters cry at a photo of your dinner. If all your photos that get featured bring an emotional response that matches the tone of the video, then you’re lucky; you might have to watch a few times to see what photos come up. Despite all these potential problems with the photos, this video is so vague and open to so many interpretations, it doesn’t really matter what comes up. The “Lost in the Echo” music video matches the meaning of the best song off Living Things. The Facebook photo concept is not perfect, and even interferes with the emotional story of the video, but that’s not a huge problem as the video is open to many interpretations anyway. Also, it’s a cool idea nonetheless, and I’m not going to mark the video down too much for trying something new. Of course, being a video to such a great song helps too. I would love to see this concept expanded on in future music videos, and I think Linkin Park is a band that could do it. I give the “Lost in the Echo” video/experience 3.5/5. 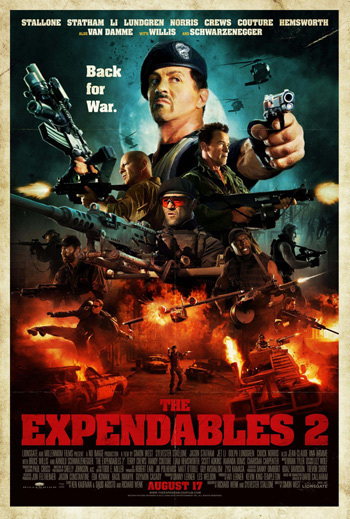 I didn’t see the first Expendables movie that came out two years ago. I didn’t really care either, so when my friends wanted to see this I wasn’t exactly enthusiastic, but a movie’s a movie. The end result was a surprisingly enjoyable action flick that has a slow start but changes tone to something really worth watching. A mercenary group known as The Expendables are given a mission by the CIA to retrieve something important from an airplane that was shot down. When one of their own suffers a brutal fate, the rest of the gang decides to seek vengeance. The film features an ensemble cast of mostly actors who had career highs doing action movies in the 80s and 90s. We got Sylvester Stallone, Jason Stratham, Jet Li, Arnold, Bruce Willis, Arnold Schwarzeneggar and various others. You’re guaranteed to find some famous faces in this one. The first twenty minutes or so of the movie didn’t ring very well with me. Yes, it opened with an action sequence which was very cool, but I wasn’t really sure what was going on. After the action sequence was over I wasn’t really gearing up for a great movie. Once the plot shifted to the characters desire for revenge, the film definitely picked up. Plot may not be this film’s strongpoint but I loved how tone became far more humorous and the action didn’t slow down. I thought that most of the cast were pretty solid. Sylvester Stallone delivered his lines well and played a great lead character. Arnold Schwarzneggar’s character spoke some self-referential lines which were rather predictable but were still funny nonetheless. And yes, you might have heard that Chuck Norris is in this movie. He plays a relatively minor character, but it’s become one of my favourite minor roles ever! Norris’s appearance alone makes this worth seeing! Although it has a rather shaky start, I advise everyone to stick with it because The Expendables 2 is one of the most enjoyable movies you will see this year, as long as you don’t take it seriously. From a critical standpoint I wouldn’t call it a masterpiece but it’s certainly a guilty pleasure and I definitely want to watch the first one! If you’re a fan of the actors or action movies, even more of a reason to see it! I rate it 4/5.